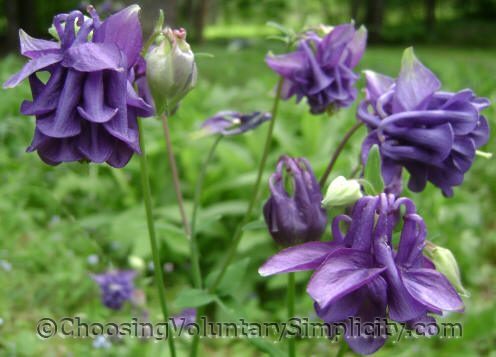 Alpine columbine (Aquilegia alpina) plants can grow up to three feet high. The flowers are bell-shaped and a most beautiful shade of purplish-blue. Sometimes the flowers will be tipped with white, and usually alpine columbine flowers will be smaller than the flowers of hydrid columbines. 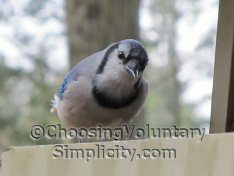 There are two ways to propagate these plants… division in early spring and seeds. The easiest way to get new plants is to just let the plants reseed themselves. After the plant flowers, seed pods will form that will turn from green to brown. When the seeds are ripe, the pods will open and the round, black seeds will drop onto the soil. If you let it, each plant will produce dozens of new seedlings every year. The new seedlings will bloom their second year. Alpine columbines originated in harsh mountain regions with thin, rocky soil. We are in zone 4 here and almost always have a few nights of forty below zero temperatures each winter, and the columbines survive without protection. I give them moist but well-drained soil, sun… but also some shade… and the plants flourish. Hummingbirds and butterflies love the nectar in alpine columbine flowers. The seeds, roots, and other parts of the plant contain toxins that protect the plant from insects, slugs, and even deer and rabbits. My alpine columbines have mostly double flowers… something I find interesting because all the plants I have now originated from one alpine columbine plant that had single flowers. Each year as the columbines have self-seeded, more and more of the new seedlings have shown the larger double flowers. I wonder if future seedlings will ever revert back to mostly single flowers. Beautiful! 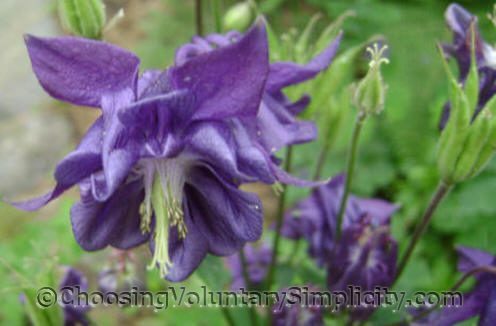 I have tried to grow purple columbines and the wild red columbines with no luck. It seems I have the right conditions, but they just last a season or two and die with no reseeding. I have the single variety but I had never seen the double flowers before. I think they are even more beautiful if that is possible. Your photographs are awesome. I have been cutting the stalks down after they flower so I don’t have any more than the plants I started with. Another summer I am going to follow your advice and let the seedpods form. I don’t know why I never thought of that.